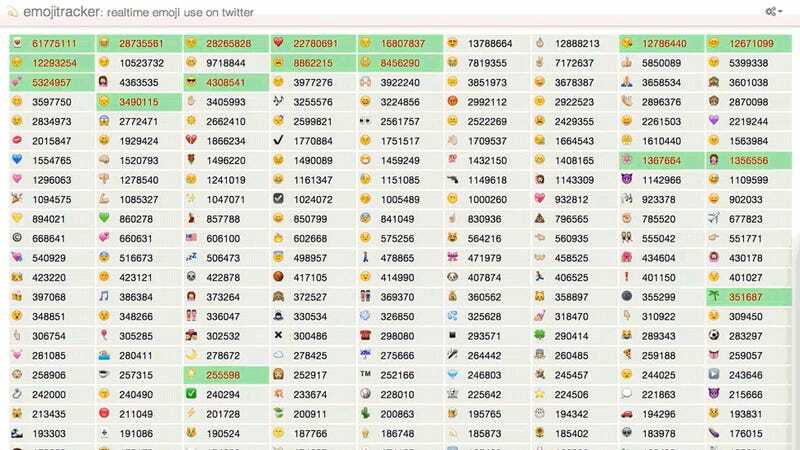 Here's Every Emoji Being Used on Twitter in Real-Time. It's Insane. Gosh! I wonder which emoji is trending on Twitter right now! I wish there was some sort of online tool that tracked such a thing! Oh, there is! Praise jeebus for emojitracker.com! Why anyone would want to know which emoji is trending in real-time on Twitter is beyond any normal human being's comprehension. But here it is. According to the about page, emojitracker is "an experiment in realtime tracking of all emoji used on twitter." Also, it comes with an epilepsy warning because better safe than sorry. Right? Right.